Blurb: What a year it’s been for Gabriel Jesus! A key factor in Palmeiras’ first league title since 1994, a big money move to Manchester City, an Olympic gold for Brazil and 5 goals in 6 games for Tite’s new look Selecao. It really couldn’t have gone much better for Gabriel Jesus who truly announced his progression from budding talent to full-blown wonderkid in the space of twelve months! Analysis: Fleet of foot, technically exquisite and capable of moments of sublime skill, Gabriel Jesus is what springs to mind when picturing the archetypal Brazilian street footballer. His pace and dribbling make him an absolute nightmare for opposition defences, while his instinctive ability to find pockets of space and create a yard for himself make him a constant danger. This year Gabriel Jesus has improved further, principally in becoming more clinical in front of goal, with 12 goals in 27 appearances en route to Palmeiras’ Brasileiro triumph, while boasting almost a goal-a-game rate for the national team. Furthermore, he’s shown he is capable of handling the big occasions, displayed by the number of silverware he has already racked up. 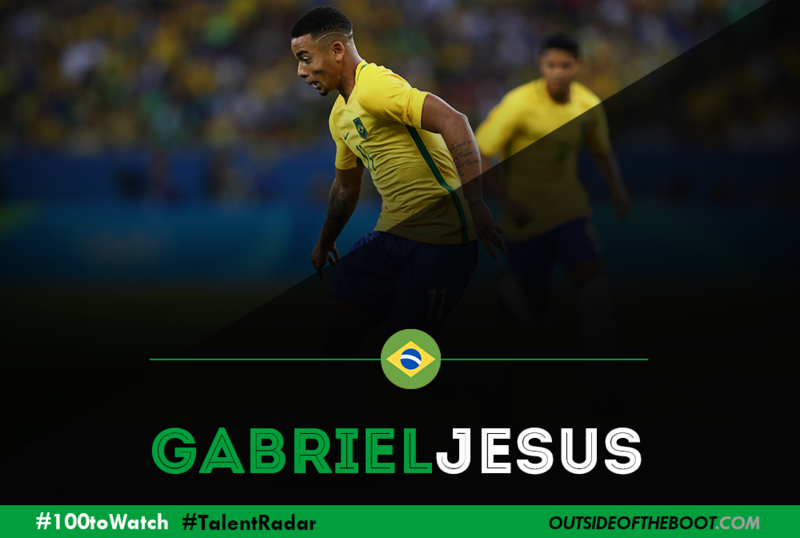 Capable of playing anywhere across the attacking line, Gabriel has nevertheless thrived for club and country in the centre forward role. His pace and movement can stretch centre backs beyond their comfort zone, while his surprising strength means he can handle himself. A trademark of his game is his work rate, both tracking back but also when initially in a high press – an essential for a top level striker. He did undergo a barren patch following the Olympics but this can most likely be attributed to the amount of games he has played. His stamina and fitness will be something that needs improving, especially with the increased tempo of the Premier League, as will his discipline. But those minor aspects aside, Gabriel Jesus is genuinely one of the most exciting prospects in world football. The sky’s the limit! Looking Ahead: It’s going to be hard for Gabriel Jesus to top his achievements in 2016 but this year could be just as crucial. The switch from golden boy at Palmeiras to the star-laden squad of Manchester City will be a big test and he won’t be a guarantee starter for the Citizens, so a period of adaptation will be expected. But under the tutelage of Pep Guardiola you would think he is in the perfect place to develop and become a stalwart for club and country for years to come. 2017 may not have the same amount of career defining moments but given the way he has taken everything in his career so far, you wouldn’t bet against him making an immediate impact. Blurb: Diogo Jota constitutes a curious case in Portuguese football, starting his professional career (being only 17) in a humble first-tier club (Paços de Ferreira) and not being signed by any of the Portuguese giants. His astonishing 2015/16 season granted him a five-year contract at Atletico de Madrid (in a 7 million transfer), who subsequently loaned him to FC Porto so he could continue his development at a top-tier club. He did not take much to become a regular at Nuno Espírito Santo’s side, hoping to continue the remarkable set of qualities he has already displayed in Paços (47 matches, 18 goals and 14 assists). Analysis: It is hard to define Jota tactically speaking. He is able to perform with equal competence on the wings, the attacking midfield and as a second forward. To label him inflexibly as just a forward would be unfair to his talents and versatility. In fact, that is one of his main attributes, perhaps to his diverse experience in a yet short career. While in Paços, Jota was more a second forward, scoring a impressive amount of goals for an 18-year-old, his transfer to Porto led him to play as a winger more often. But even when he starts a game as a winger he always tries to vary his game with sudden incursions into more central spaces. Furthermore, he has the technical characteristics to serve this “roaming” nature, possessing incredible agility and pace. His dribbling and conduction of the ball (fluent with both feet) are uncommonly quick and Jota is aware of that fact, using them with a surprising maturity and intelligence, being at all times available to make the right decisions to benefit the group rather than himself. However, I think he is best suited for a supporting role to the striker, playing as a second-forward in a 4-4-2 system. In fact, three of his four goals for Porto at the time of writing were scored while in that position (all of them in the 4-0 victory against Nacional). He just needs to boost his composure and physical structure in order to overcome the demands of more challenging competitions. Looking Ahead: Having reached a starting spot at FC Porto, this season might decisive for Jota to affirm all of his potential and display it in a big club. If the Portuguese club wants to keep him they will have to pay 22 million euros to Atletico de Madrid, so it seems unlikely that he stays in Portugal for long, although that could definitely be more beneficial to his improvement. But if continues to perform with the regularity he has presented so far there is no reason why he could not succeed in La Liga and get a call to represent Portugal’s national team having played for the u-21 team for a long time now. Blurb: Luka Jovic arrived in Lisbon with impressive credentials (Red Star’s youngest goalscorer ever, astounding numbers for Serbia’s youth teams, competitive display of his completeness as a striker at Red Star), but his adjustment to the new reality he encountered at Benfica proved itself really difficult, with few opportunities at the senior team and some behavioural episodes which set back his surge in the Benfica striker hierarchy. As a result, he remains playing for Benfica’s secondary side, although deserving some chances to train and play for the first team, mainly in the last pre-season. His perseverance in the times to come will be decisive to his future, for his qualities remain unspoiled. Analysis: If someone asked me to explain what a false 9 was, I would definitely illustrate my explanation by mentioning Luka Jovic. In fact, he fits perfectly in the archetype of the complete and modern forward being able to ally his goalscoring capabilities with a valuable contribution to any phase of the offensive process. Fluent with both feet and revealing a fair heading ability, Jovic demonstrates incredible technical skills, whether conducting or (mainly) controlling the ball. 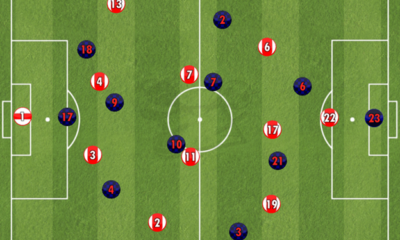 His intelligence to occupy half-spaces often renders him in advantage towards defenders. 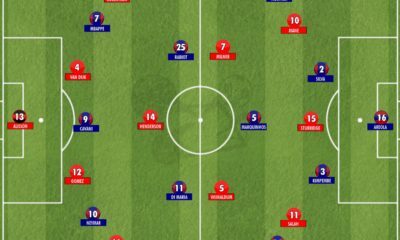 The Portuguese Liga (and more so the top European divisions) is truly demanding in tactical terms, therefore it is imperative for the Serbian starlet to integrate his pre-disposition to drop deep into the collective movements of his team, so he does not become lost in the game and easily neutralized by opposite defences. If he succeeds in doing so he will return to the profitableness recognised of him while in Serbia. Looking Ahead: With only 2 games for Benfica’s senior team, Jovic has spent his spell at Benfica playing in the Portuguese’s second-tier for Benfica B. Even at this level he has not been able to regularly appear in the line-up with only 12 matches and 3 goals. But nobody was expecting immediate success of the young Serbian, as this was a huge transition for the 19 year-old footballer. It is only natural he takes his time to adapt, and while he is not playing that much, the amount of knowledge he is absorbing at Benfica will prove itself valuable in the future. The Portuguese club’s directors have a clear plan defined for Luka Jovic (he has signed a long-term contract) and the next step seems to be a loan to a Portuguese’s first-tier side, where he will continue to develop his immense potential. Blurb: Born in the Paris suburb of Bondy, Mbappé was laboring for lightly regarded local side AS Bondy before being plucked from his local team for a stint with the FFF’s prestigious Clairefontaine academy. There, he blossomed, and Monaco moved to secure his services in 2013, playing him sparingly with the second team before he made his debut last season. His appearances last season hinted at a great potential, but his inclusions were often down to injury or poor form on the part of others, certainly not unreasonable for a player who was just 17. 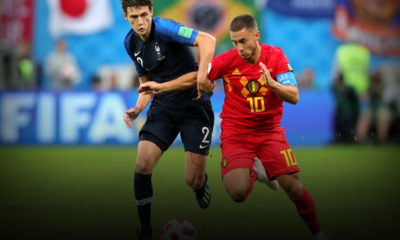 Analysis: The current season started slowly for the youngster, as he had been involved with France’s U-19 team in the European Championships. 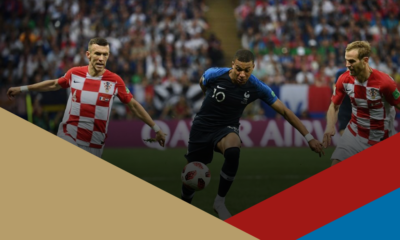 Alongside Paris Saint-Germain’s Jean-Kevin Augustin, he was one of the revelations of the tournament, and Monaco’s fans were surely salivating over including him in the first team on a regular basis. However, a concussion caused him to miss a month, and he is only now getting up to speed, having recorded all of his goals and assists in the last six weeks. 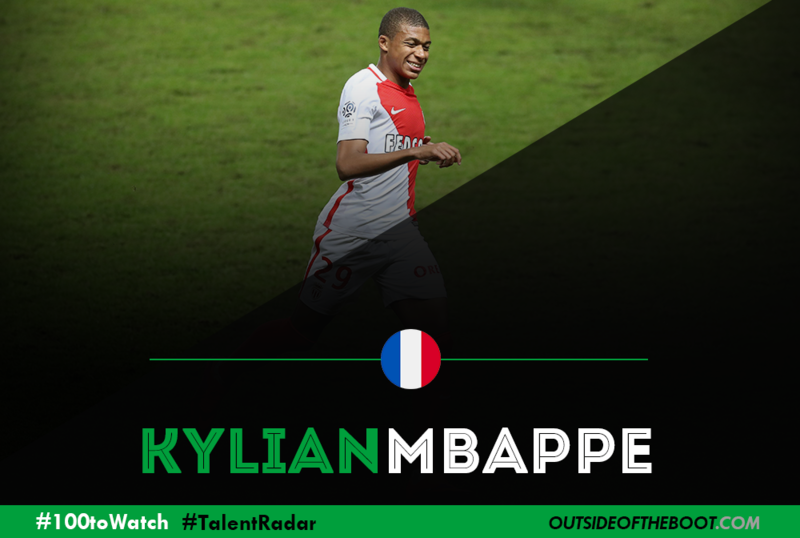 Equally adept on the wing and as part of a central striker partnership, Mbappé’s style of play combines searing pace, decent if not exceptional dribbling skills and instinctive finishing. Strong for his age, but still developing, he certainly has the potential to lead a forward line on his own, in a 4-3-3, but could do with a bit more power in that regard. Unselfish with the ball at his feet, he is able to link play well on the ground, but can on occasion try to do a bit too much. 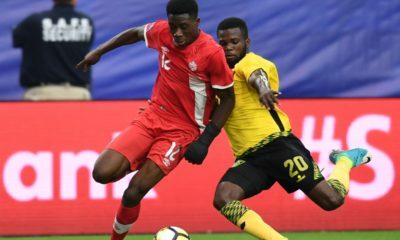 His defensive work ethic could use a bit of strengthening as well, but this will likely become less of a factor as he projects as a center forward long-term, and will be required to do no more than harass opposing center backs. Looking Ahead: Mbappé has earned comparisons to Thierry Henry, and these, to date, are not inaccurate; both were exceptionally precocious, and likewise started on the wing before becoming a predatory striker. There is obviously much to do for the youngster to even begin to measure up to the Arsenal legend, but he is well on his way. Becoming a regular for the U-21s and scoring, say, ten goals in all competitions would cap a fine season for a player who is still 18. He is beginning to edge out Valere Germain of late, and making himself first choice alongside Radamel Falcao for a title-winning team would be real proof of a superstar in the making. 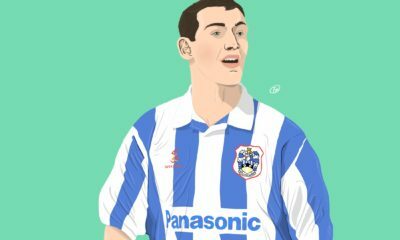 These are goals that may have seemed far-fetched at the beginning of the season, but are well within reach, and we could very well be witness to the birth of a legend. 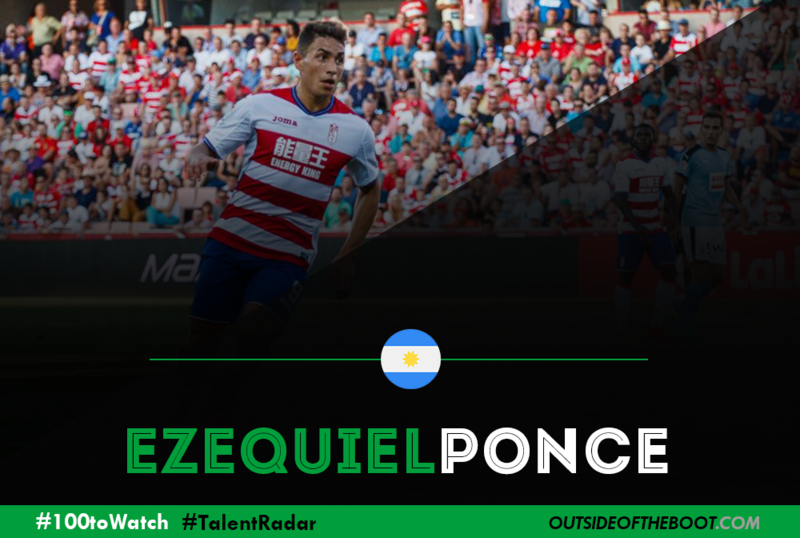 Blurb: Ezequiel Ponce has arrived in Spain, on a season-long loan deal from Roma to Granada, with a reputation as another possible star in the making. Signed by Roma from Argentinian side Newell Old Boys for approximately £3.5 million, he played his first season in Europe in Roma’s youth squad. Ponce’s record at Roma’s youth team was impressive. The Argentinian scored 3 goals and got 4 assists in his 4 UEFA Youth League appearances, 4 goals in 3 Primavera C appearances and 3 goals in 3 Primavera Fase Finale appearances – quite a record. 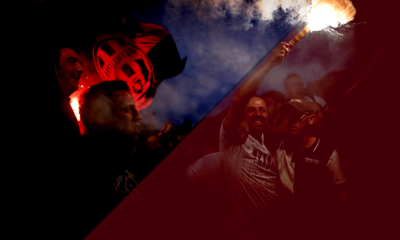 Analysis: At Old Boys whilst Ponce caught the eye of several top European clubs, which of course led to his move to Roma, he displayed a clear arrogant nature in his game which needed to be harnessed. Regularly attempting wild shots when better options were available and keeping hold of the ball for maybe slightly longer than necessary. 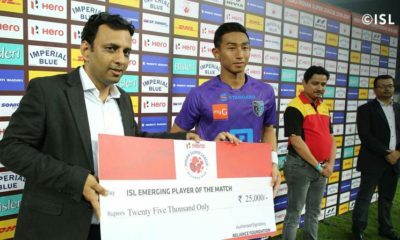 However, the positive signs were a natural confidence, a good instinctive positional game which saw him get into threatening positions regularly on the pitch and a good burst of speed. The coaching at Roma’s youth system had an immediate effect on Ponce. His appearances for the youth side displayed a player whose arrogance had been refined and his natural positional play had been enhanced so that his runs were spot on, his positioning was dangerous and his finishing was on point. It is no surprise that Ponce had such success in Roma’s youth team. He enjoyed a man of the match performance in an amazing comeback against Barcelona’s youth side. Scoring 2 and assisting 1 after going 3-0 down to La Masia’s best. His first season in first team competitive football for Granada has been mixed. Ponce exploded into La Liga with a debut goal against Villarreal. Being 1-0 down against The Yellow Submarine seemingly only hungered Ponce further, a Javi Marquez cross was whipped into the box and Ponce was there to tap in the equalizer. Since then, Ponce has been unable to get on the score sheet and more recently has found minutes hard to come by in an admittedly poor Granada side. Looking Ahead: The signs bode very well for Ponce so far. Every player experiences periods where their form dips but from what the Argentinian has shown in his homeland and even more so at Roma, he has the means of progressing into a top technically gifted forward. Hopefully he can regain regular minutes in Spain and refine his abilities even more because the kid has got bundles of potential. 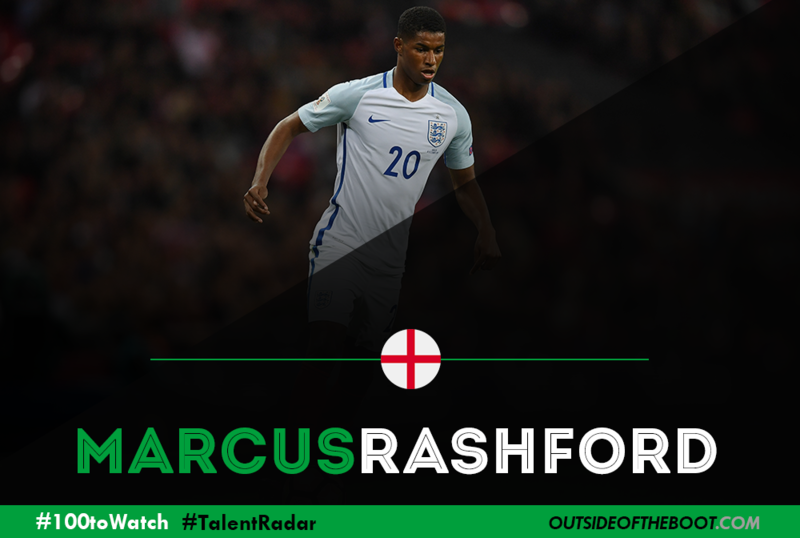 Blurb: Born and raised in Wythenshawe – a district just south of Manchester – Rashford lived just a 10-minute drive from the stadium he would eventually star in 18 years later. Marcus started at Fletcher Moss Rangers, quickly impressing as a youngster, which allowed him to get a chance in United’s academy. After rapidly making his way through the youth system as a young teenager, he made his debut appearance for United in February against FC Midtjylland. Since then he’s been a regular in the squad, featuring often and making a serious impact for a team that is trying to recreate its magic from the last few decades. Analysis: Rashford’s style of play largely revolves around one of his key strengths, versatility in the attacking third. When he gets out into space, he likes to use his incredible pace and quickness to change the dynamic of the game. He’s always a threat to run by defenders and has the balance to be able to stay on his feet at top speed with heavy challenges coming in. He’s certainly not the strongest lad, but he more than makes up for that with his quick first step and incredible agility to get out of tight confinements. However, his ability to create for others is possibly what makes him such a unique talent. He completed 77% of his passes last year, something Premier League top strikers Harry Kane, Jamie Vardy, and Olivier Giroud couldn’t achieve. When he is in the flow within the game, you’ll often see him pull out a fancy flick or two as well. His ability to create opens up the game for others, but also for himself when he’s around the net. His 89% shooting accuracy last year in the league was an absolutely staggering number. Unfortunately he was caught in Van Gaal’s system, one that only allowed him 1.68 shots per 90 minutes. This year he’s regressed a bit, but has been given more chances in Mourinho’s system when he’s been on the pitch. Looking Ahead: Zlatan Ibrahimovic coming in over the summer has put a slight hitch in the Rashford hype train. Nonetheless, he has still featured in 24 matches this season at the time of writing and has contributed 5 goals and an assist. He’s played all over the place this year, center forward, both right and left wing, and even at times tucked in behind Zlatan. His performances have been inconsistent this season, but that’s expected when you’re playing in many different positions and not every week. He’s still one of Europe’s brightest talents, and learning under Zlatan for a year or two can only be a positive. 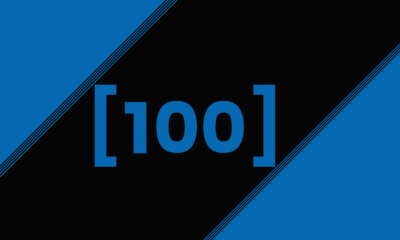 Blurb: The Paraguayan wonder-kid of 2015 has begun his journey into the world of regular competitive football and, whilst experiencing tough challenges, has come through with remaining potential likely to be unlocked by the Spain’s Primera Division. A player who had guidance from Barcelona’s famous La Masia academy between 2010 and 2012 was identified by the late Tito Vilanova as a star of the future and was training with the first team from the age of 16. Analysis: Sanabria is an unfortunate example of a growing statistic supporting the theory that Barcelona’s La Masia academy is slowly degenerating. In 2014 he left for Sassuolo and soon after Roma. It was in the 2015/16 season where Sanabria’s talent was truly revealed to the world. A season-long loan stint at Spanish side Sporting Gijon saw the Paraguayan striker score 11 league goals as the Asturian club’s main striker. His goals were the main factor behind Gijon’s survival in La Liga – Sanabria’s sole assist of the season came in their 2-0 home win against Villarreal which confirmed their survival, pipping Rayo Vallecano by a single point. 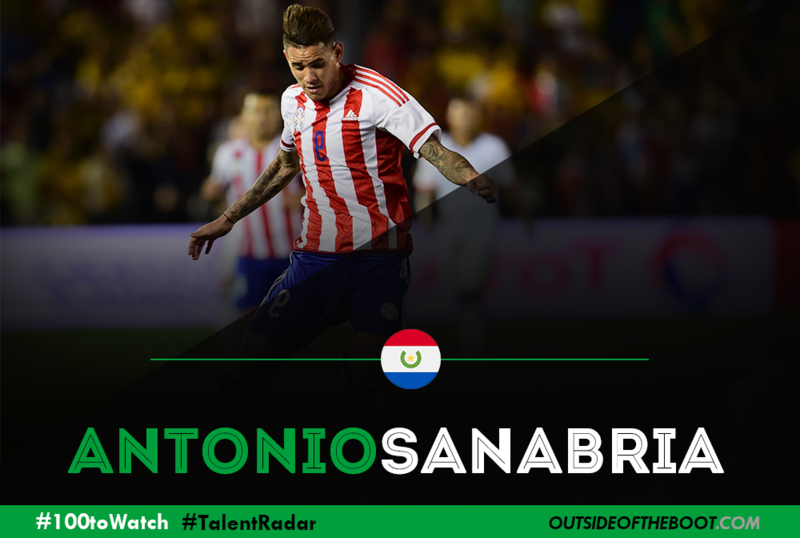 Sanabria has an excellent read of the game for such a young player, a poacher of a striker, he is always in the right place at the right time. To continue the clichés, Sanabria is a typical ‘fox in the box,’ making darting runs into the 6-yard area to finish off quick passing moves. The South American is also quickly becoming a connoisseur of the headed goal. His positional awareness is a key factor in his ability to get on the end of lofted crosses into the box. Finally, his stature and pace are deadly in combination for any striker. If Sanabria can improve his finishing in 1-on-1 situations, then new club Real Betis will have a destructive weapon in their ranks. Looking Ahead: After being sold by Roma last summer to Real Betis, Sanabria had instant injury issues which he has struggled to return from with good form. His only goal so far this season, at the time of writing, came in the 3-3 draw with Celta Vigo. There is no doubt that the Paraguayan has the potential to become a top European striker but confidence, as with many players, needs to be flowing for him to progress. The move to Betis was seen as a coup by the Seville-based club and, in my opinion, wasn’t the best for the player. He needed a bigger step up to a Villarreal or Celta which would have provided him better quality service to work with. Now, it is up to him to earn the chance to take that next step once again. Blurb: FC Twente and the Turkish national team are two sides who are both have flattered to deceive in recent seasons. Despite being crowned champions of the Eredivisie in 2010, Twente have failed to go on and make a genuine push to elevate their domestic status. 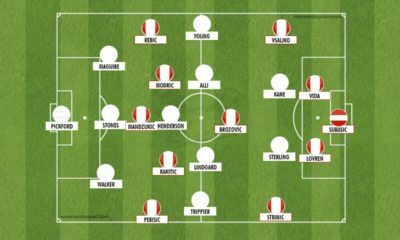 As for Turkey, no amount of individual talent and understanding at club level (the vast majority of their players over the years have come from domestic giants Galatasaray and Fenerbache) has allowed the nation to build on their success at the 2002 World cup after a remarkable fourth place finish. It is not all doom and gloom, however. Twente in recent years have given us a fair few talented footballers such as Dusan Tadic, Quincy Promes, and even more recently, Hakim Ziyech. Much of the same can be said of Turkey as well, with their list of young and talented players growing by the year. One player that both these teams have the joy in sharing in, is Enes Unal. 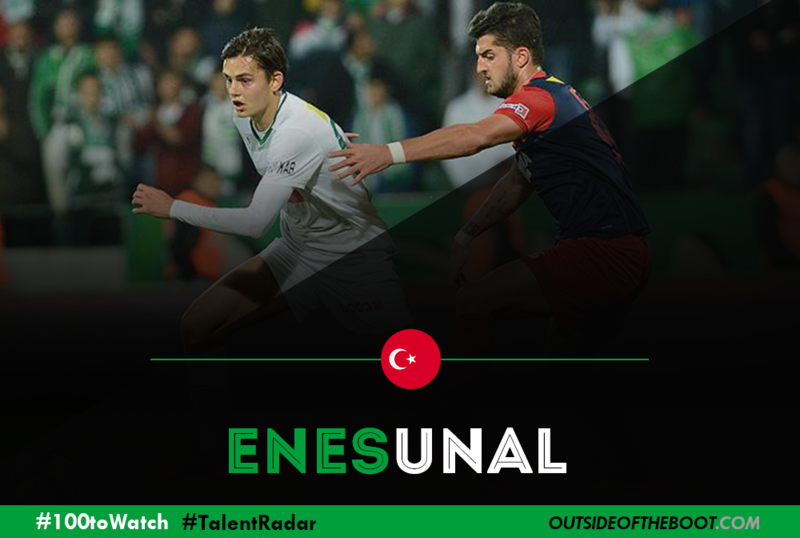 Analysis: A native of Bursa, Unal is unquestionably one of the most highly touted young players that Turkish fans will be licking their lips over. After coming through the youth ranks with hometown club Bursaspor, English giants Manchester City came calling in the summer of 2015 to the tune of 2.5m pounds. Unal was immediately shipped to Belgian-side KRC Genk where he spent six months on-loan. But just a single goal in twelve league appearances prompted his return to City, with an agreement to go back out on loan to Dutch-side NAC Breda. There he would have far more success, bagging nine goals and two assists in fourteen outings while showing a bit of promise. 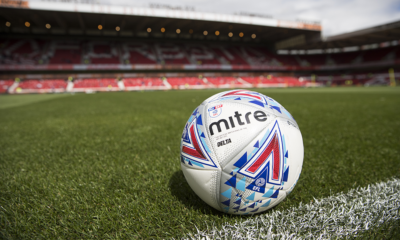 After returning to the Etihad this past summer, City again would loan out the Turkish youth international, again to a Dutch club, this time FC Twente. To date, Unal has netted ten times and added two assists in just thirteen appearances in all competitions for The Tukkers. Though he’s still just 19-years-old, Unal has exhibited wonderful all around traits for a center forward. The most valuable asset in his personal dossier is his ability to score goals, averaging 4.63 shots/90min, with 1.64 of those coming from outside the area. His aerial ability also shows promise, winning over 3 duels/90min. Most importantly however, is how well he has developed chemistry with fellow youngsters Yaw Yeboah and Bersant Celina. Either holding up play and providing either of them with service or combining well to get Twente further into the final third, Unal is very much the focal point of the Twente attack. Looking Ahead: With Unal’s goal scoring exploits for the Turkish national team through all youth levels (43 goals in 53 appearances), it’s unquestionable that he has the ability to be the center forward mainstay for The Crescent Stars for years to come. The question, however, revolves around his standing at Manchester City. Everyone knows the ability of Sergio Aguero, arguably the best center forward in the Premier League. But with Aguero already pushing thirty, manager Pep Guardiola has already shown additional faith in Kelechi Iheanacho, a central striker more suited to a free-flowing, creative and mobile attack. With Unal being more of a focal point, it’s worth asking if his future lies in Manchester or abroad. Such are his performances for Twente this season that interest from other clubs is soon to follow. However, it is not completely out of the realm of possibility that Pep would give Unal a chance to prove himself next summer in pre-season, giving him yet another potential young player to wrap his hands around – after all, we’ve seen him do it before. Blurb: RB Leipzig has caused quite a stir among the footballing world. 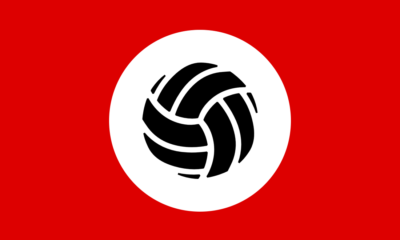 They seem to have aroused quite a number of emotions in Germany, with many being very apprehensive about the way the club is run and have come up. With healthy financial support, the club invested in a lot of young players during the summer transfer window. One such acquisition was Timo Werner from Stuttgart. Werner has already broken quite a few records. He is the youngest ever player to have played for Stuttgart while he is also the youngest player to have scored a brace in the Bundesliga. Werner’s potential was always there to be seen with his U-19 debut for Stuttgart ending up with him bagging a hat trick and an assist. Werner has consolidated his position in the Leipzig starting eleven after an inconsistent spell at Stuttgart. 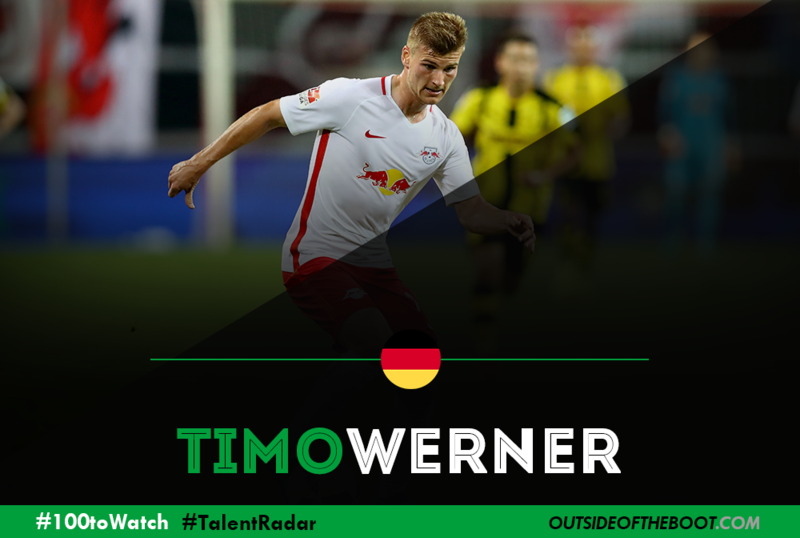 Analysis: Werner is a typical modern day forward who has pace in abundance with the ability to dribble. 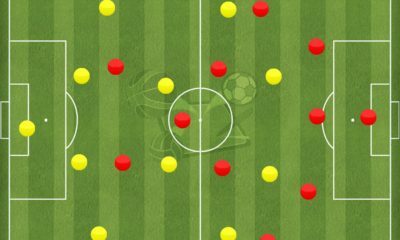 Werner’s best ability is surely his off the ball movement which makes him extremely hard to handle for defenders. He is constantly on the lookout for passes beyond the last line of defence and can regularly be found on the shoulder of the last man. This attribute of his, works excellently in tandem with Yussuf Poulsen, who is a typical strong number 9. Werner’s pace and off the ball movement is perfect for Poulsen’s flick ons and layoffs. His diagonal runs past the defender to receive the ball is van Persie-esque though quite not with the same pulling away from the defender and making the eventual run. His pace makes him a competent player on the wings and was predominantly used as a winger during his Stuttgart days. 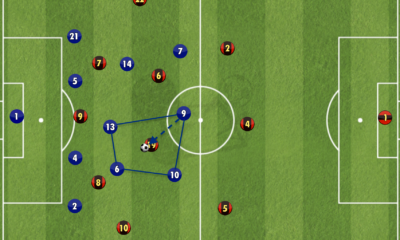 Even now in Leipzig, Werner often drifts wide and makes runs into the channels, which opens up space for his team mates. His constant running is very selfless while also making him a thorn in the opposition defense. Werner’s finishing has improved dramatically over the last year as he seems to have worked on his composure, with regular playing time this season. Werner’s dribbling is not flashy, but his change of pace makes him extremely hard to read with some excellent runs with the ball this season. His energy also makes him an able deputy to lead the high press on the opposition defenders. Werner is what you might call a rough diamond. It must be said that Werner is a very poor passer of the ball with just 66.1% of his passes being successful. Werner tries to do a lot on his own and lacks the decision making that can make him a more dangerous forward, especially considering that he is playing in a two striker system. He also needs to improve on his crossing, with Poulsen more than potent at heading them in, when he does have the opportunity while drifting out wide. Looking Ahead: Werner has definitely been improving over the last two years and has become a better player than what he was last year at this time. His excellent return of 8 goals and 2 assists in 13 Bundesliga appearances this season is proof of the fact that Werner can excel with a consistent team set up and a manager who is willing to tap in on his strengths. This was a major hindrance in Werner’s spell at Stuttgart as he suffered from regular managerial changes. 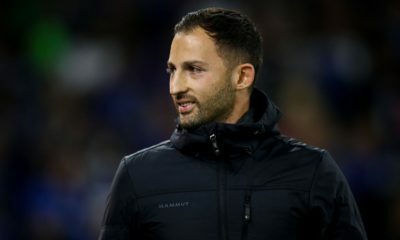 While he has already played a major role in propelling Ralph Hassenhuttl’s team towards the top of Bundesliga, Werner has tremendous potential to improve further. He can become a top quality striker in the near future if he keeps improving at this rate and be a major part of the Germany National team set up over the coming years. Blurb: Rising through the ranks of Chinese Super League club Hangzhou Greentown’s academy, Zhang marked his debut in a cup game with a goal. 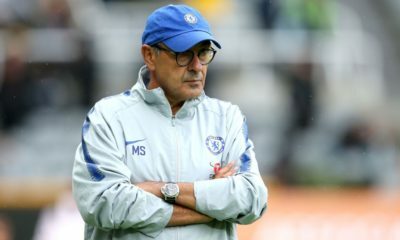 Moving to a league known for developing youth, Netherlands, he transferred to Vitesse Arnhem, a club more known for being Chelsea’s youth stable. He started with the U19 side, but rose quickly. He made his debut in February, and scored his maiden goal off the bench against Roda JC, the first in the Eredivisie by a Chinese player. He also scored on his first start against Twente. And he also scored a brace on his national team debut! 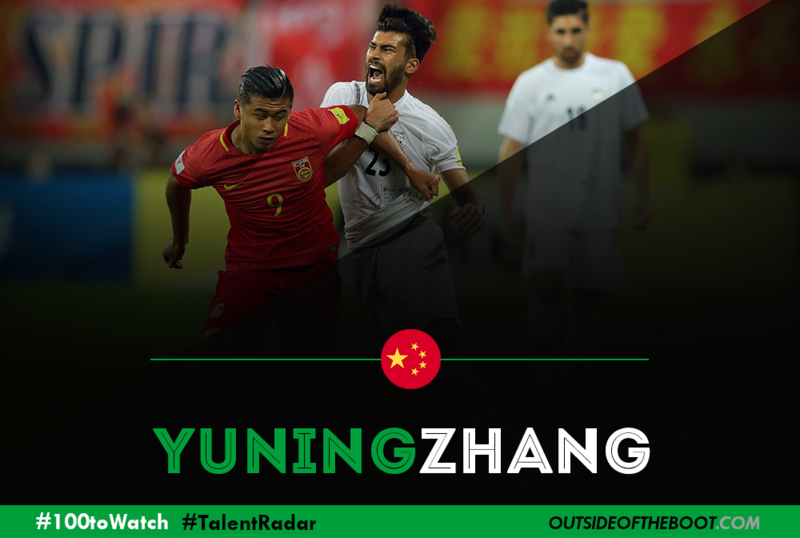 Zhang is an intriguing prospect for Asian fans, especially Chinese, given the paucity of high-potential talents in the Far East. Zhang is in a good position now, and with nurturing he can turn out into a star. Analysis: Zhang is physically strong, which helps him to compete with stronger European players. Being tall and muscular will help him to hold up the ball and act as a target man, especially for the lesser skilled players in his country. He will be able to bring other players into the game. 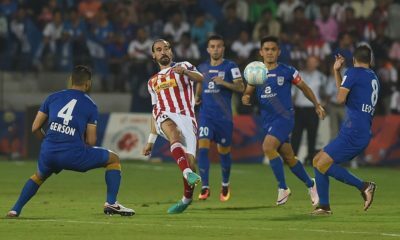 However, he possesses a burst of pace, and combined with decent technique, is able to find the right goal-scoring spots most of the time, making him a predator in the box. Most of his goals for Vitesse have been from close range, and headers too, which is a result of his height. Given the gulf between his club and country, the way he will be utilised in both setups will differ, meaning his style of play could be suited to various tactics. This adaptability will be of help to his manager. In a nutshell, Zhang is tall, strong and quick- these attributes could make him highly coveted in the future. Looking Ahead: Will Zhang become China’s first superstar? Only time will tell, but he is the most promising prospect in his country, and expectations will be high. Chinese Super League clubs will show an interest in him in coming windows considering what he could bring on and off pitch in terms of his image, but that would be a major step back for him. 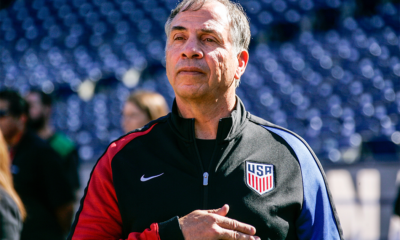 The key now is to stay level-headed and continue to develop as a player- that will benefit all parties involved. Netherlands is the ideal place for his development. The decision hinges on career vs the money on any offer from China: this should not be a question. If he stays true to his dream of a European career, he could be the first Chinese star.